Man, are we busy people! Busy people, with busy lives, and busy agendas, doing busy things. It seems we too quickly forget that we exist for a much greater purpose…to be! 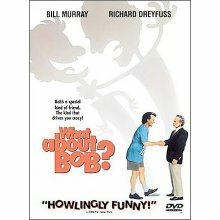 What About Bob is a hilarious journey of co-dependency in extreme proportions with two completely opposing human agenda’s. After giving his patient ‘Bob’ (Murray) prescribed orders to practice Dr. Leo Marvin’s (played by Dreyfuss) recommended ‘coping techniques’ while he is away on vacation, the Dr. and his family are instead bombarded by Bob’s persistent and demanding need for attention, affirmation, and professional assistance. Although other family members begin to grow fond of Bob and are happy to include him, Dr. Leo Marvin does not share their same inclusive compassion and desire. Dr. Marvin’s revised agenda becomes: get rid of Bob at any cost! The movie is a comedy that evolves around their opposing agenda’s and is one that will keep you laughing (or crying) long after the movie ends. (I promise I’m not a paid movie critic…lol). What about God’s AGENDA? for me? for my family? for my community? for my city? Sleep. Eat. Play. Entertain ourselves. Work. Accomplish. Do. Succeed. Produce. Produce more. Work harder. Accomplish more. Repeat. For some – there is no agenda or ambition to do or accomplish anything…the result in this case is either apathy, laziness, or ignorance concerning the things of God. to be in relationship with His people! It’s an agenda that invites us to be his children, his disciple, his follower, his representative, his advocate, his hands, his feet, his co-conspirators, in whatever position, place or role we find ourselves. …lost. sinful. hopeless. vulnerable. abused. tired. As far as I can tell, God’s agenda is completely intentional and clearly focused on people. It’s also one in which God has also provided the means for us to be an active participant WITH HIM through the redemptive work of Christ. to love and obey him. to allow him to use our lives, time, talents, resources, and position in life… to bless others. So may I ask you as I ask myself? What does loving and obeying God look like in your life? How might God want to make you more like Jesus? the poor…the homeless…the often forgotten? As I go about my day today (praying, waiting, trusting, thinking, preparing, writing, eating, cleaning, shopping, cooking, exercising, serving, playing, talking) and as you go about yours (doing whatever you do), let’s not get caught up in our agenda of what we have to do or accomplish. Instead, will you join me in making a conscious effort to BE in the moment…and quietly surrendering the events and moments of our day to God’s agenda? Will it be a passage in scripture that he uses to teach, correct, encourage, confirm, or bless us? Maybe it will be a person he wants us to notice on the subway, at the checkout line of the grocery store or the person next to you at the gas pump as you simultaneously fill up your car. Maybe it will be a tired inattentive waiter or waitress (whose life is falling apart at home) that serves you today or tomorrow while you’re away from home on a business trip…. Perhaps God will lay his heart over yours today as you witness some type of injustice toward one of his created beings. It’s a ‘whomever’ kind of deal. The question becomes…will we give God permission to use our hands, feet, and mouth to bless, encourage, serve, or help someone as if Jesus himself were the one doing it through us? Or will we go on about our day…doing this and that…and miss God’s agenda for us altogether? 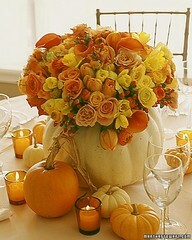 Re-arrange not only our agenda …but our hearts as well! May our hearts overflow with expressive gratitude as we pursue the relationally driven agenda of God!